Who else knows more top athletes and stars than Super Bowl Champion, Ray Lewis! 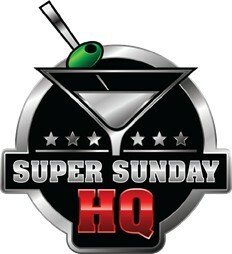 Located at The Porsche Experience Center in Atlanta, GA, this party will have class, style and most importantly charity! The Gold Jacket Party for a Purpose and VIP Atlanta Experience is a three part event that offers: an exhilarating Porsche driving experience, unique activations, concert & comedy performance. The proceeds from this amazing event, with the help of the Ray of Hope Foundation, will help benefit those that are facing hardships. It wouldn’t be called a gold jacket party without some Hall of Fame Champions that are expected to attend such as: Ray Lewis, Deion Sanders, Jim Brown, Jerome Bettis, Thomas Davis, Joe Montana, Michael Irvin, Emmitt Smith, Calais Campbell, Devin Hester, Brian Dawkins, Ed Reed and many more. For those that chose to attend, this event will be an experience that will last a lifetime! 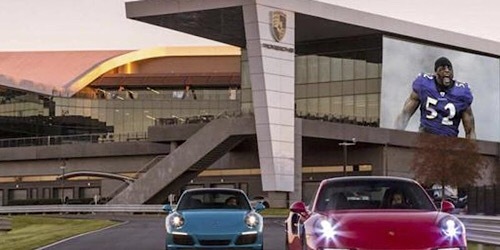 Unlike any other event that will take place during Super Bowl, this interactive and bucket-list experience will include a ride on the Porsche Professional Driving Track, EVIP (Executive VIP) cocktail party and Iavish buffet in the exclusive Porsche Museum Gallery and EVIP area alongside a lengthy list of Hall of Famers and Celebrities for the concert and comedy performance. Also includes all experiences and access shown in the VIP Party in the Main Atrium. One (1) EVIP Ticket – (Executive VIP) Cocktail Party and lavish buffet in the exclusive Porsche Heritage Gallery with current NFL players, NFL Legends and Hall of Famers, Hollywood Celebrities, and top sponsors and VIPs. The EVIP Ticket also includes a special VIP area for the concert performance, and all components of the VIP Experience Ticket. 4 hour VIP party in the Main Atrium and outdoor courtyard of the Porsche Experience Center featuring live music & DJ’s, open bar, hors d’oeuvres from some of Atlanta’s most well-known celebrity chefs, classic and new Porsche car exhibits, Cigar Bar, interactive games and stations, concert & comedy performance all the while mingling with current NFL players, NFL Legends and Hall of Famers, Hollywood Celebrities and VIPs. Interested in being a sponsor? Please email info@rayofhopefoundation.org for more information. Organizer of Ray Lewis & The Ray of Hope Foundation’s Gold Jacket Party for a Purpose Ray of Hope Foundation is dedicated to uplifting those in dire need through sharing personalized videos – “rays of hope” – from the many luminaries and game-changers who support our charitable purpose. We feel that by shining a positive light into the life of someone who may be struggling with hardships, there is tremendous power to motivate the inspiration for escaping from the darkness.